Hand-crafted in the U.S., every one-inch pewter pendant with a 16 inch cord + a 2 inch extender (total of 18 inches) is blessed with a special love blessing from Christine Arylo, affectionately known as the Queen of Self Love. Boost your self-confidence, self-compassion, self-esteem, self-empowerment, and self-care by wearing the necklace with the heart facing out and the ME laying against your skin, as a loving REMINDER to: BE YOUR OWN BEST FRIEND, REMIND YOURSELF HOW LOVED YOU ARE and CHOOSE SELF-LOVE, no matter what. You are feeling so good, so full of love and joy that you just gotta share it. Put the necklace on with the ME shining out for all to see… as you express to the world: I AM BEING, LOVING AND LIVING ME! We like to honor people who choose to share love with others as well as love themselves – both GIVING and RECEIVING LOVE is the best equation. So order two necklaces, Christine will bless them both with love, send them with a note to you and you can surprise your friend with LOVE! If you are ready to take the plunge and really commit to loving yourself, we have found just the thing to mark that promise – the I love ME Ring. This ring is hip, beautiful and super charged with self-love. 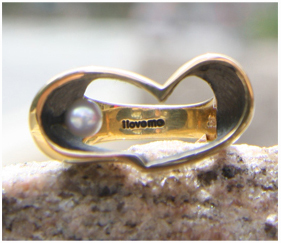 Designed by Arielle Fierman of NYC, we have dubbed this THE ring of self-love. Error: Error validating access token: Session has expired on Friday, 19-Apr-19 12:24:14 PDT. The current time is Thursday, 25-Apr-19 11:07:49 PDT.